The world’s biggest mobile technology show, Mobile World Congress (MWC), tends to set the tone for what consumers can expect from phones for the rest of the year - until Apple announces its new devices in September, that is. Unusually, Huawei didn’t launch anything this week, but then it’s got its own launch event for the P20 planned for later this month. LG, meanwhile, revealed a new phone that doesn’t look that new at all. Most of the phone headlines were grabbed by Samsung with its S9 updates, and by Nokia with its first proper flagship device and a nostalgia-drenched revival bookending a slew of smartphones designed to fit any budget. But LG, Sony and Alcatel also took the chance to unveil new kit and are deserving of their own mentions. First up, though, the big guns. From the size of its Sunday launch event to its stand at MWC, Samsung’s gone big this year. The Galaxy S9 and S9+ may look very similar to the S8 and S8+, but there are some welcome updates. From a variable aperture camera on each and the secondary, telephoto camera on the larger of the pair, to 960fps slow mo, animated emojis, face-scanning, a more sensible fingerprint sensor placement and a handful of new accessories like the updated DeX station and covers for every taste, these are flagship devices through and through. The new Samsung offerings are pretty appealing even if you’re only a generation behind, but we’re also intrigued to see what new technology and features make it into the Note 9 later this year. Until then, it’s going to be tough to resist what seem to be Samsung’s finest smartphones yet. Read our hands-on with the new Samsung Galaxy phones over here. Last year Nokia stole the show at MWC with its reinvigorated 3310, a modern feature phone with retro styling. It’s tried the same trick this year with a new 8110 (the phone with the sliding keypad cover made famous by The Matrix). 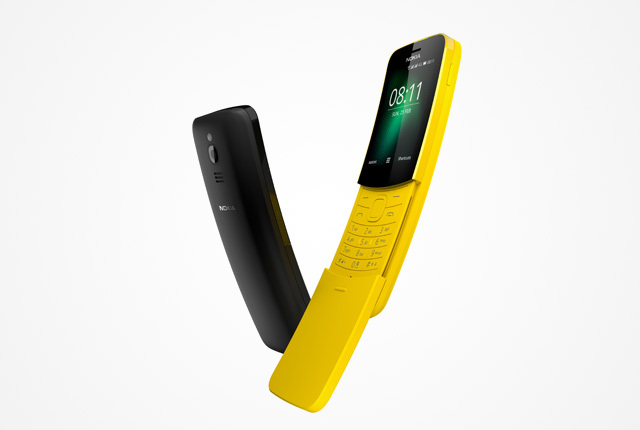 Available in bright hues and undeniably fun, it’s still a feature phone, but one that may prove irresistible for consumers who long for the days of simplicity. It should, however, run basic apps at least, so WhatsApp might not be out of the question. The real news from Nokia, though, is the selection of new Android-powered smartphones its unveiled. At the bottom end there’s the budget Nokia 1 that runs a less demanding version of Android Oreo, called the Go Edition, and includes a camera and a selection of primary colour polycarbonate shells that hark back to the interchangeable Nokia covers of yore. At the top-end there’s the curved-display touting Nokia 8 Sirocco with wireless charging and 128GB of storage that’s clearly got the likes of Samsung, LG, Sony and Huawei’s star devices in its sights. The Sirocco is a beautiful device and one that should still cost less than the flagship devices it’s intended to challenge, which could make it very appealing indeed. Finally, in the middle, there’s an updated Nokia 6 with Zeiss optics and the Nokia 7 Plus, which claims to offer flagship performance at a substantially lower price. The LG V30 is the best phone the company has ever made, which might explain why rather than miss out on showing anything new off at MWC, LG has opted to unveil an updated version. The LG V30S ThinQ offers more RAM and storage than the V30, two new colours, and a new Artificial Intelligence-powered bit of camera software called EyeEm Vision. But with the software update coming to the regular V30 in the not-too-distant future, unless you really want the extra storage or the new blue or grey bodies, you probably wouldn't want to ditch your V30 for the V30S . The good news, though, is its quiet showing at MWC suggests LG will have something big, shiny and new to show off later this year. Don’t tell Samsung fans, but Sony unveiled phone-based 960fps slow motion video at MWC last year, albeit only at 720p. 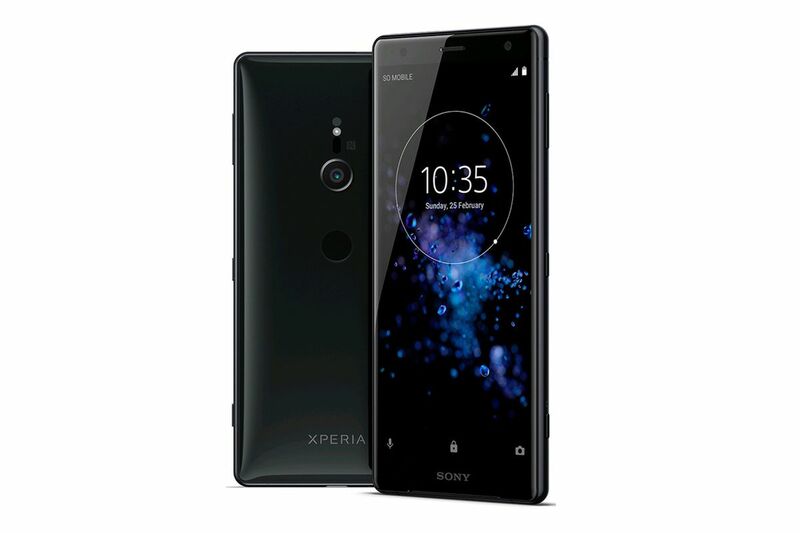 Not one to rest on its laurels, Sony’s got two new devices, the Xperia XZ2 and the smaller XZ2 Compact at this year’s MWC. Well, not much smaller at 5" rather than the larger 5.7". Both include the latest Qualcomm Snapdragon 845 processor, 4GB of RAM and 64GB of storage, and now shoot not just 4K HDR video, but 960fps slow motion at 1080p, just like Samsung’s S9. Waterproofing and high-end optics are two of Sony’s trademarks, and they’re both present and accounted for on the new devices. If you’re allergic to bezels you might balk at the dimensions of those on the XZ2, but if your heart pumps Sony, they’re pleasing upgrades to an already strong line. Like the Nokia 1, Alcatel’s new 1X is powered by the lightweight Go Edition of Android. It’s got 1GB of RAM, 16GB of storage, a 5.3in 960x480 pixel display with an 18:9 aspect ratio, and a sizeable 2460mAh battery. And, like Nokia’s entry level smartphone, it’s expected to cost less than R1 500 when it launches later this year. Alcatel’s also got another 1 Series phone called the 1C that runs full-fat Android, and two new mid-range Series of handsets, the 3 Series and 5 Series. If devices with price tags as reasonable as their specifications are your flavour, Alcatel’s promising to deliver. Motorola had been expected to show off the mid-tier Moto G6 at MWC, but has said it’ll follow later in the year, and BlackBerry was expected to offer a follow-up to 2017’s KeyOne. TCL, the company behind BlackBerry hardware (and Alcatel’s incidentally), says there are two new BlackBerry handsets in the works but – like the Moto – we’re going to have to wait a little longer to see them.